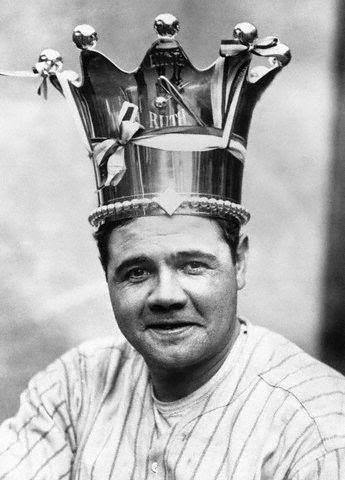 Yesterday, April 27th was National Babe Ruth Day. I wondered about the significance of the date as it wasn’t the day he was born (February 6, 1895) or the day he died (August 16, 1948). So I used my most trusted source the internet to figure it out. April 27th is the day that Ruth was invited back to Yankee Stadium and it was declared Babe Ruth Day in the league by Commissioner Happy Chandler. A number of teammates and others spoke in honor of Ruth, who briefly addressed the crowd of almost 60,000. That’s the significance of April 27th and why that’s the day we celebrate the Sultan of Swat.